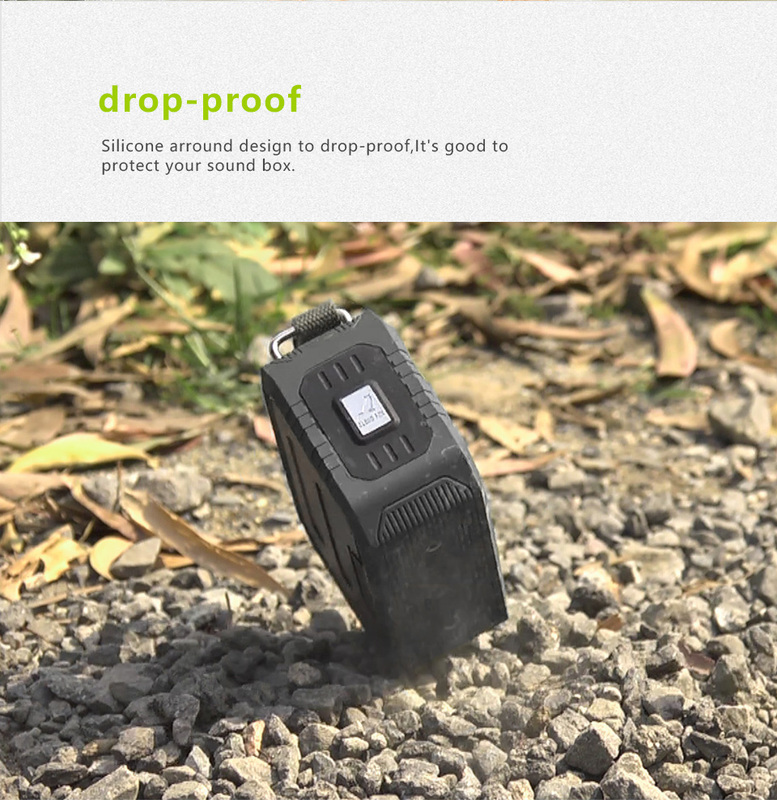 Get outstanding sound & quality anywhere with this Portable Outdoor Waterproof Wireless Bluetooth Loudspeaker. Supremely details get the speaker shockproof, crash-proof , dustproof and waterproof while climbing, hiking or other outdoor activities. 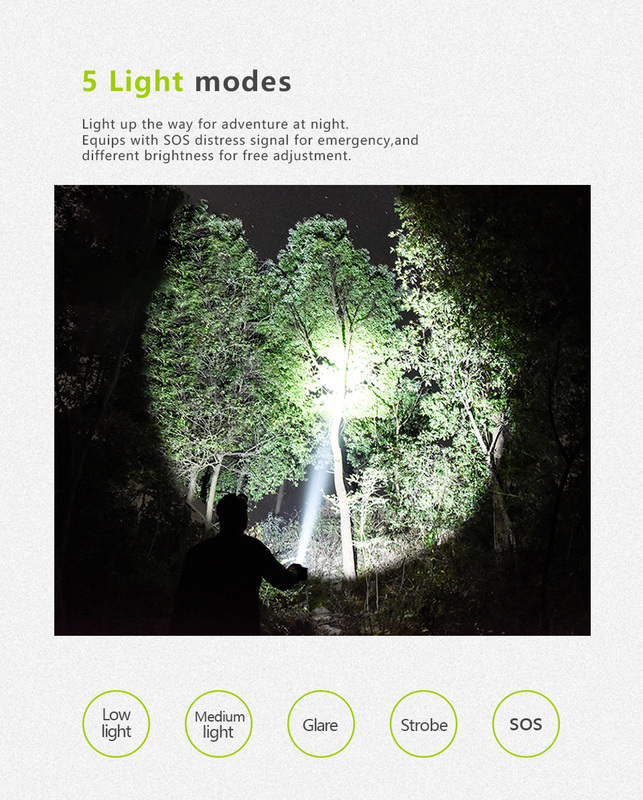 Eyes designed with 5 kinds of light modes, like a fellow accompany and protect you in the dark ,making your outdoor activities more safer. EASY TO USE VIA BLUETOOTH. The Waterproof Bluetooth Speakers can be connected to any phone via Bluetooth so you don't have to bring your phone to the bathroom as well. No cables needed! Speaker with unique enhanced bass so it can stream clear and surround stereo sound within a distance of 10M in radius. Listen to music or take calls on-the-go with any Bluetooth enabled device. Has a built-in mic and hands-free function so you can conveniently pick up calls while it is connected to your phone. 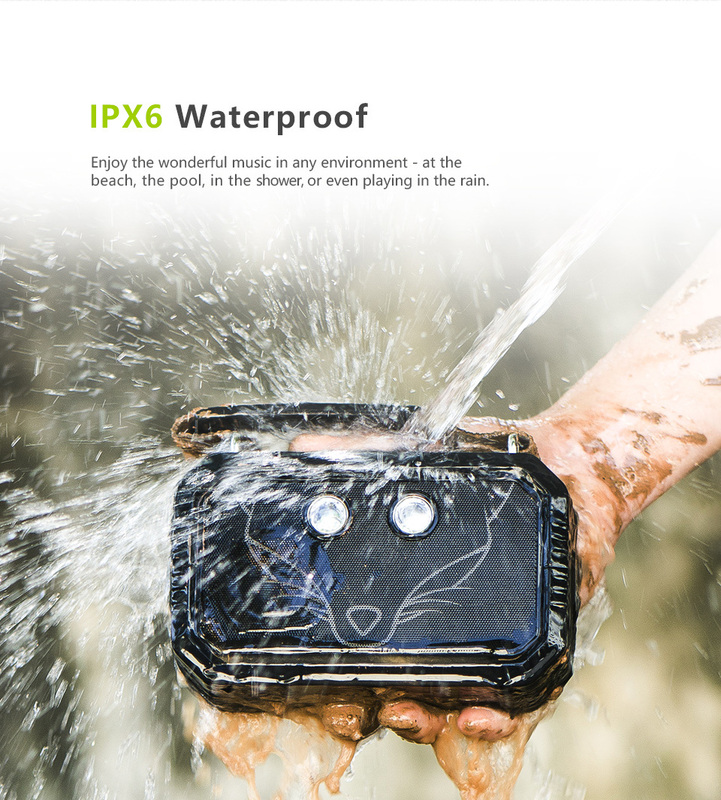 Features a waterproof rank of IPX6 so it can be safely used in the bathroom, outdoors, literally EVERYWHERE! Excellent speaker! The sound is clear. Recommend seller. Very funny ьная column, came within two weeks, I am shocked not expected from such a small size of great sound, Bass funny, yelling not bad, flashlight as addition very cool light, very high quality made, will test write an additional feedback, seller recommend to everyone, take пожолеите. RU: Very good speakers, without wheezing, hands-free, water Jet holds (at least not died of it instantly), flashlight as good addition. My feeling straps can be very resistant to harmful influences. Very good choice for 2500 rubles. ENG: Very good speaker, without wheezing, loud, holding a stream of water (at least did not die from it instantly) A flashlight as a good addition. According to my feelings, the belts may not be very resistant to harmful effects. Very good choice for 2500 rubles. Take a column for gift. All VERY satisfied! Column exceeded my expectations! Loud clear sound, EXCELLENT bass, do not play, creaks… In short, WONDERFUL goods! If you want a good, not expensive and high-quality speaker… This is what you need! ALL ADVICE!!! Shipping 18 days. Packed well in its original packaging (see. The photo). The Sound Is very loud, the heavy. Блютут and AUX work. Shipping from Moscow 3 days to the door. Column is very powerful. Sound Quality without rattling at full volume. Holding a charge will write further. Excellent speaker. Bass is excellent. Yelling loudly!!! I am very happy!!! !